DazaKiwi wrote: My PC and Fone aren't on speaking terms at times, often my usb port bugs out when i plug in my fone or the fone connects and is charging but won't show up in file explorer. Would be nice for an option to import from something like dropbox, i might have to suggest that to the dev. You can download tag or blorb files onto the phone too. Fabularium lets you pull them from the Downloads folder. 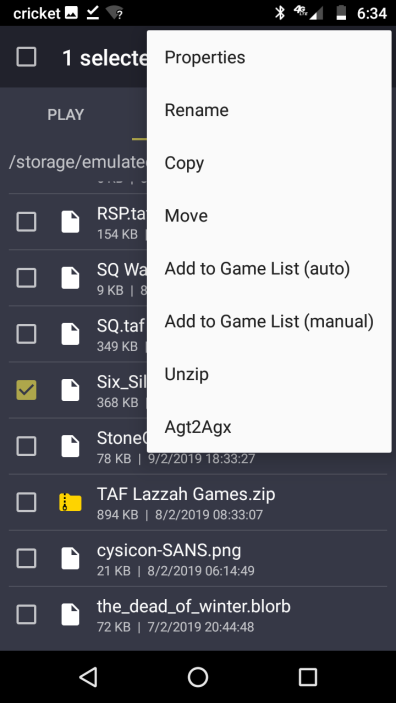 I even tested it with a .zip file of Lazzah's games I had in Google drive, the app let me unzip and then add them to the game list. Gonna get Tingalan later and see if there's an upper limit to file sizes it can load. 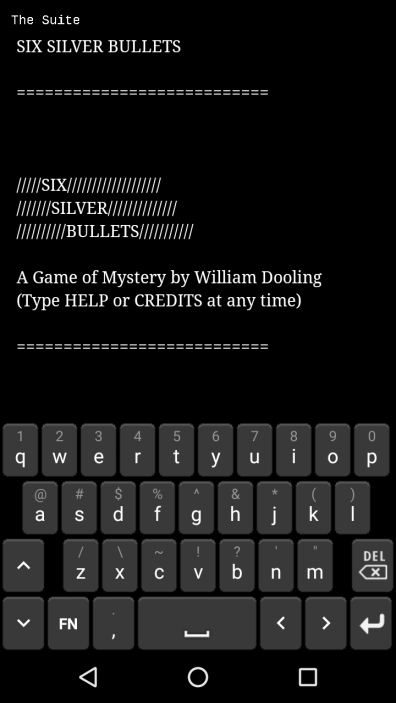 I used google drive app on my fone and was able to download my game. However i don't think Fab can open Blorb files? which is a shame as it means no music and art can be include then. When I add it via selecting it and pressing the the 3 dot icon top right for options and choose Add to Game Library (auto) - it gave me a message saying couldn't add file check log. Last edited by DazaKiwi on Sun Feb 10, 2019 12:36 am, edited 1 time in total. DazaKiwi wrote: Ok cool i will give that a go! Thanks What app did you use to download the file from google drive to your fone or did you use the fone's web browser? Just the regular way with the browser. 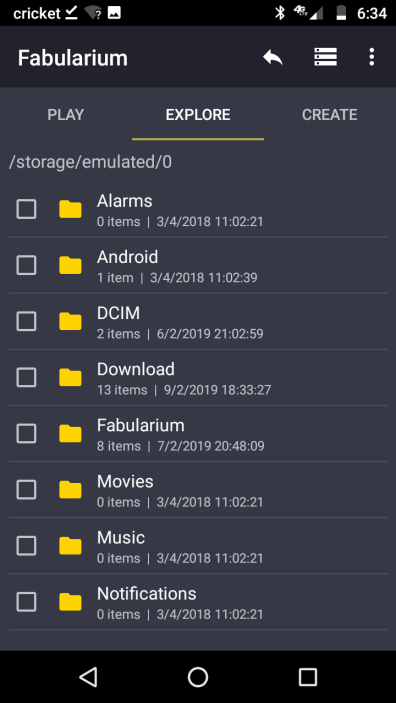 Fabularium has a way to access your phone's download folder. Last edited by DazaKiwi on Sun Feb 10, 2019 12:51 am, edited 1 time in total. I've gotten blorbs to work. Just a quick visual guide here. e: hmm, sounds like you did the same thing so idk. Might just try again or try redownloading it. The only time I've gotten that error was when I went into a zip file and tried to add the file from inside it without extracting it first. *Update: I tried to re-download the blorb and it still wont accept it. I tried the taf version of my game and it for some reason thought it was version 4 of Adrift and ran initially before giving an error when i entered a command. I downloaded it again and this time it had v5 next to it, and i loaded it in and when i go to run it- white screen for a split second before going back to list. I downloaded Six Silver Bullets blorb and was able to load that and it looks to be running ok...hmm..
Yeah that is strange, but I haven't tested it very many games yet. It does have some option about resetting Adrift 5 file, I've never used it but maybe that does point to potential bugginess there still. Snehalpatil (lol that name is a mouthful...) are you the dev for the app?